If you’ve just brought a new cockatiel into your family thinking you could immediately put him into the cage with your original bird, you might be surprised at the interaction that goes on behind those bars. It could be the best of times, it could be the worst of times. Cockatiels can and do get involved in fights with each other. Avian hostilities can end with one bird or both injured, so you can't let them work it out between themselves. If your birds continuously get into fights with each other, clearly something is bothering one of them. Birds have different types of personalities. Some are protective, some outgoing, some shy. It is possible for multiple cockatiels to get along with each other, but they all have to decide they want to get along. Knowing this, you and your birds will have a much easier time getting to know each other. Your new bird will also find it easier to find her niche within your family. One of your birds might be upset because his romantic rival is receiving more attention from a female cockatiel. He’s jealous and he’s not going to give up easily. Therefore, he’s going to go after his rival and make some feathers fly. Your cockatiel can feel aggression and frustration. If the causes of his bad feelings aren’t dealt with, he may try to injure the bird he feels is causing his anger. Your birds may not like each other or they might have personality conflicts. Yes, even birds can dislike another bird, so much so that they fight all the time. It doesn’t have to be hopeless. Once you've figured out that the two personalities of your birds aren't meshing, you'll be able to use some "getting to know you strategies" that will allow your birds to begin co-existing. Slow and easy introductions, with no pressure beyond the surprise of a new bird entering the house on the first day, will go far. Bringing a new feathered friend into your family might make your original bird feel jealous. Just like other members of the animal kingdom, cockatiels don't do well with surprises and changes. 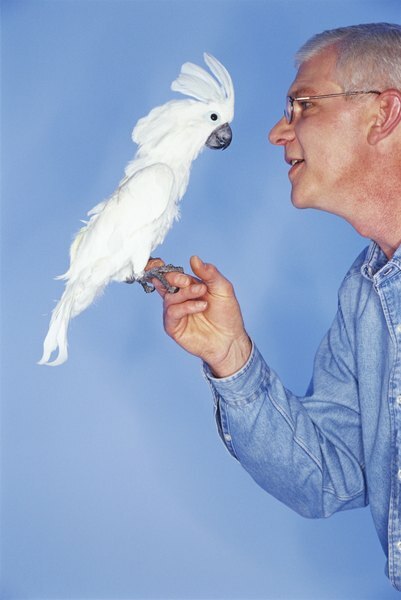 Help your feathered family members adjust at a rate they're comfortable with. In the long run, you, they and your family will be grateful you did so. When you're bringing home a new bird to an existing one, set up a second cage to put the new bird in. Keep both cages and birds in full sight of each other. Allow them to see each other from the safety of their own cages for a few days. Once they're able to observe each other without too much angst, let them play outside their cages together for the next few days. Two males will spar and posture, but this is so the dominant cockatiel can let the submissive one know his place in the pecking order, pun intended. Slip your original cockatiel into the new cockatiel’s cage. The new bird is less likely to raise a protest. As you do so, keep a close eye on how they act around each other. As you supervise their interactions, they will work out their pecking order. Deal with two jealous birds by keeping them separate until they’ve been able to work out their issues with each other. Try introducing them to each other, beak to beak, slowly. When they are able to be near each other without getting into fights, gradually introduce your original bird to the newer bird’s cage. Continue giving your original cockatiel just as much attention and love as you did before adopting No. 2. If your birds are jealous because of a love interest, wait until breeding season is over before you bring them together. Without the influence of bird hormones, they might be able to agree to get along. Does Rice Coat a Dog's Stomach? Can Unhealthy Cat Food Give Cats Tapeworms? Why Did the Family Cat Suddenly Attack the Family Dog? Why Can't Humans Hear Dog Whistles?